When you think about a search engine, you probably think Google. You probably wouldn’t imagine that the second most popular search platform could be on YouTube. The fact is that many people would rather search for videos which allow them to “see the products [they seek] in action“. And how-to instructionals are much easier to watch than they are to read. Visual platforms perform remarkably well in social media. Since its inception in 2005, YouTube has come a long way with “four billion hours of viewership a month“. Many of its features have gotten the attention of companies looking to expand their reach through social media. They are utilizing channels to organize their videos and give their audience a reason to linger. The ability to appear in a search “by playing with tags and titles” is one way brands can go where their audience hangs out. They can also “bid on keywords” or run “Promoted Videos” if looking for more advertising opportunities. YouTube has no intention to slow down. They see that the benefit of allowing for longer videos will open up the possibility for more advertising and viewership. Although shorter videos are still more popular than feature films on YouTube, the longer forms are becoming increasingly popular as more devices are able to play them. Now that they offer the Send to TV option, people can “watch it on a TV equipped with an Xbox 360, PlayStation 3 or Google TV”. Instagram was called “a visual twitter” during hurricane Sandy when people posted images in preparation for the storm as well as capturing the destruction and loss as the storm passed through. Instagram is no longer stuck in the photo niche. Since they added their video feature, there have been “37 % more Instagram shares on Twitter“. As we’ve seen Instagram transition to a platform offering videos I’m sure we will begin to see many more options and variations popping up throughout all of the visual platforms. Each one wants to be better than the next. As they grow in popularity, they’re audience grows, attracting more brand participation. 1. 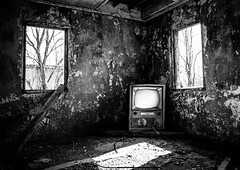 Do you think traditional television will withstand the major changes we’re beginning to see throughout the above visual platforms? They are now offering new ways to watch and experience videos. Could it change television as we know it? 2. If a brand were to pick only one of the platforms I covered above to engage with their audience and market their products, which would be the most powerful place for them to have a presence? Television is an ever evolving medium, and major players in the industry are keeping up with the trends. We’re at the brink of a content revolution! Most of the major networks have a YouTube channel. Android and Apple have endorsed mobile TV. CNBC projects that within the next two years, American viewers in more than 140 million homes will watch their favorite shows, video clips and movies on Smart TV’s and mobile devices. Every aspect of TV creation and distribution is impacted. It’s likely that major networks will reach out to YouTube sensations such as Phil DeFranco and Jenna Mourey with major deals for content as well as endorsements and advertising in hopes that the networks can own their content. I don’t think YouTube will die anytime soon, however, it may lose some of its luster. Consequently, Blip, Vimeo and Vine could be the new go to medium for future video content superstars. Jason, I love the idea of Smart TV’s and new technology. It can be tough to keep up with though and it seems like things are moving so much faster these days. YouTube is sure to have much more competition in the future as more visual platforms pick up on the trends moving away from traditional television. Television will always be around, however it will evolve. The proliferation of video is cloud-based computing. Companies like Netflix, Hulu and Amazon offer streaming video services. I have Netflix at my phone and can stream video anywhere I have connectivity via cellular or WiFi. I do believe the days of watching video on a television in your living room are not necessarily over, but are numbered. The cable TV and satellite providers know this and are already streaming content to mobile devices. It’s only a matter of time before television evolves into something more than the black box taking up space in front of our couches. Dave, I agree and I think it will challenge the satellite and cable companies in a big way. The greatest benefit will come to the consumer in the form of more customization and more competitive rates.